This lesson delves into the A shape of the CAGED system and how it helps to learning classical guitar pieces. Take a look below to see the A shape transposed up a fourth into F major, which is where we need it to be for the Barrios Bees segment. 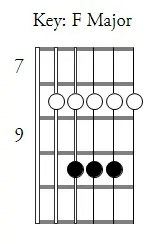 For Las Abajas, the key is F major and that means fret 8 A shape. Getting a handle on playing these means going through the scale and arpeggio shape until they are effortless. 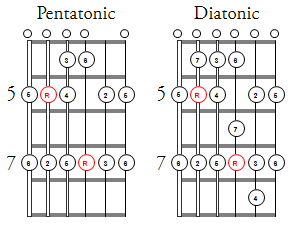 Also be able to say and play the scale and arpeggio tones: Tonic/root, 3rd etc. As you can see in these two bars, Barrios sticks to the main notes of the A shape arpeggio. 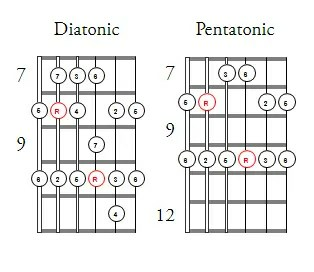 Moving out of position from beat 3 onwards in the first example. He also utilizes a suspended 4th note, the D, in the second example to liven up the melody. 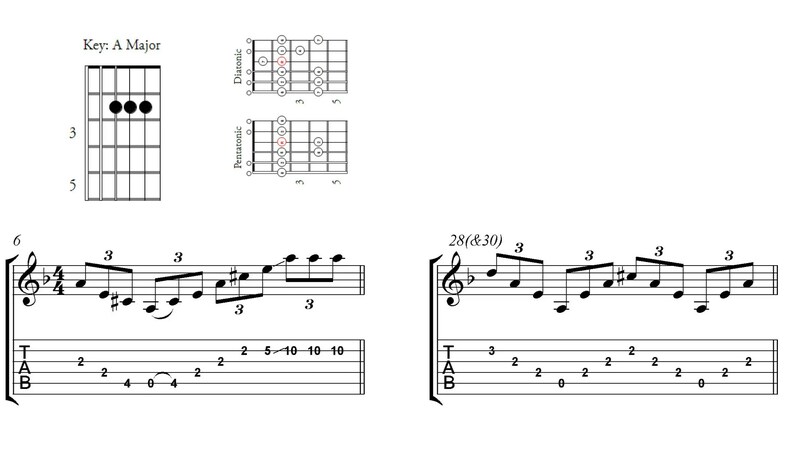 These two bars are in the key of A major, Barrios is using the dominant of D major, this is technically know as borrowing chords from the parallel key (D maj), to really push towards the home key of D minor.